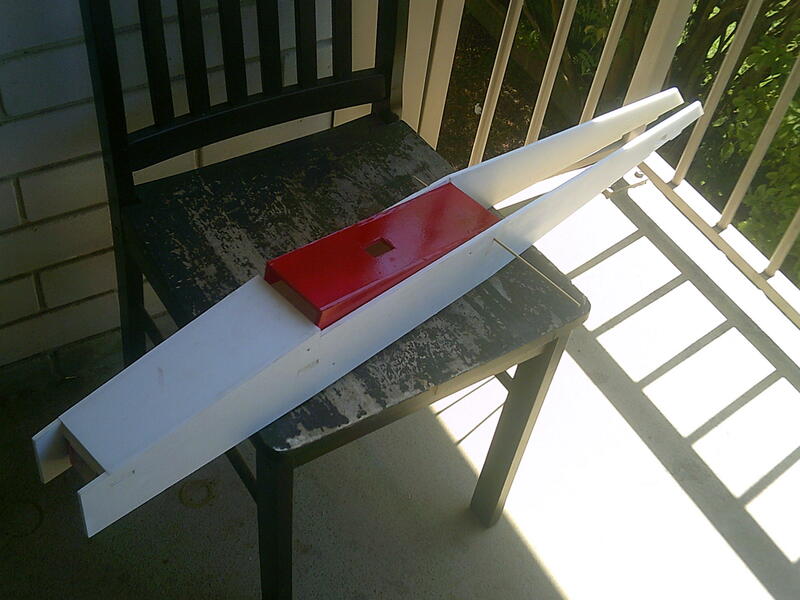 Not long after I started building in FB I found and scratch-built a Das Ugly Stik. Here is a pic of it coming in for a landing back in 2016. It was all wrapped in coloured packing tape at the time and I had bought a suitable motor for a ridiculously cheap price, (Disposal). Anyway it was my first FB plane with flaps and even though it has now exceeded 100 flight hours, (in about 2 1/2 years), it is still soldiering on. After minimal repairs and a few note worthy crashes the plane still flies very well and very very slowly but yesterday the elevator servo finally worked its way loose and so I flew it with the servo held in with tape. It is showing its age now and has quite a few wrinkles, with a little water damage, so I decided yesterday to do a replacement build for ME! Here is a quick pic of the old plane as it is right now, including the tape holding in the elevator servo! After verbalizing the need to replace it with a newer version I had a number of requests for the old carcass. So it has a home already and this thread will be about the replacement bird. I will be stripping out the electrics from the old bird for use in the new version so it will be using 2 1/2 year old electrics which are still going strong! It will not be a rushed build as I want to make a few minor changes and of course give it a more eye-catching colour scheme! If anyone else wishes to join in the build of what is a fantastic version of a golden oldie I welcome them! Alright! Looking forward to seeing your vision! Love the Das Ugly Stick! Especially like that it flys just as well built with the heavier foam board too - make it a "slam dunk" recommendation for anyone who can't get hold of the Dollar Tree or Flite Test brand stuff. 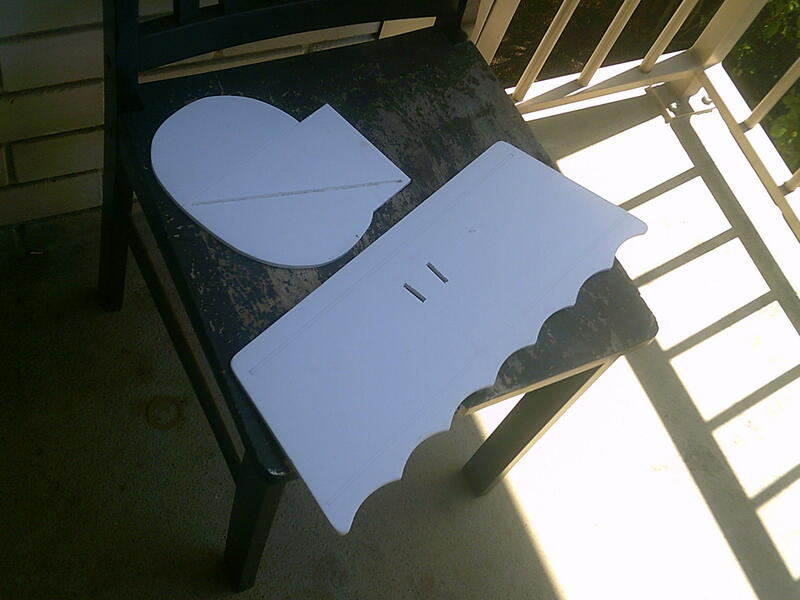 Almost finished the cutting out of the pieces and I must make a confession! I forgot how BIG it is. I use double size sheets of FB and it needs them more than 2. It is amazing how it looks smaller when it is all assembled and even flying but in pieces it is large to say the least. If anyone wants to build one but does not have access to the larger sheets Just let me know and I will advise on how the sheets can be joined so that the structural strength is not lost and no weaknesses are introduced! Anyway the first part of the build will be the powerpod and the minor mods I am doing to it to improve the battery security. In the past I have landed it a few times with the battery dangling on its power output lead . The powerpod on this unit is mostly exposed and can absorb moisture over the long term. In addition the battery mounts below the powerpod and directly to it so its security has always been an issue. 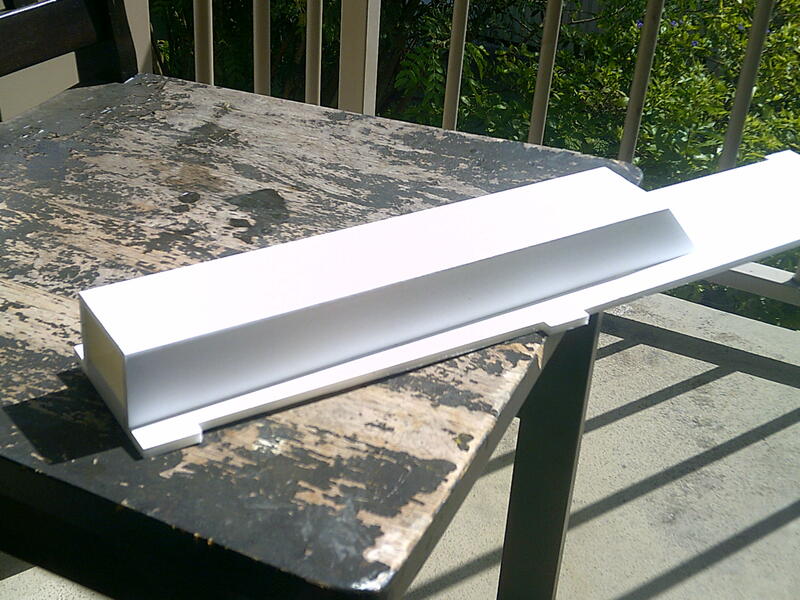 Here is the basic powerpod being test fitted to the fuselage tray where it will eventually be mounted. 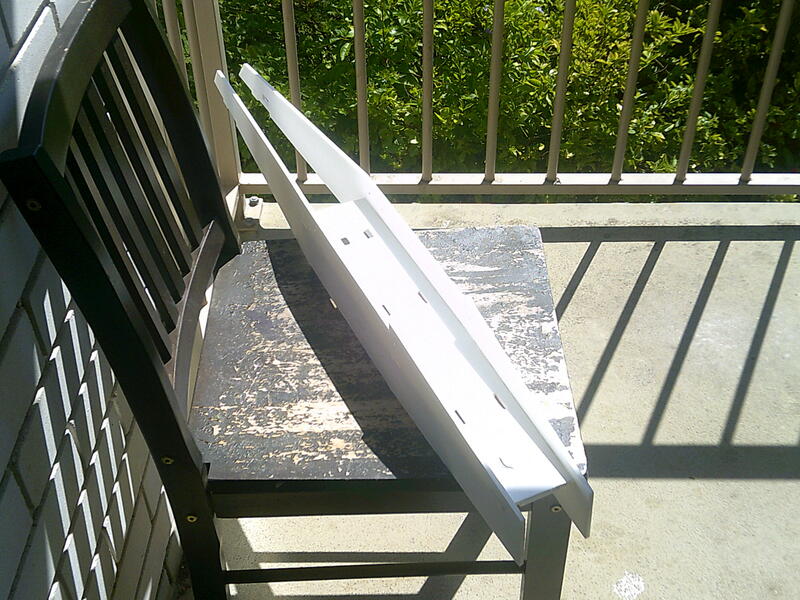 Here the powerpod has been glued together, minwaxed, and painted in the fuselage forward colour. Just a note; The inside of the powerpod has also been minwaved/sealed. Next was to add the anti-submarine strip of velcro. This is not something naval or combat related but rather a friction block that when combined with a little velcro on the battery itself, actually stops the battery being expelled forward in the event of a crash or a very sudden stop. Just a safety precaution! Now I install the battery hold down strap, (a velcro cable strap). This strap is passed through a couple of slits in the side of the powerpod and then glued in ensuring that the slits are glue filled where the velcro passes through. The battery used is a 2200mA 3S. 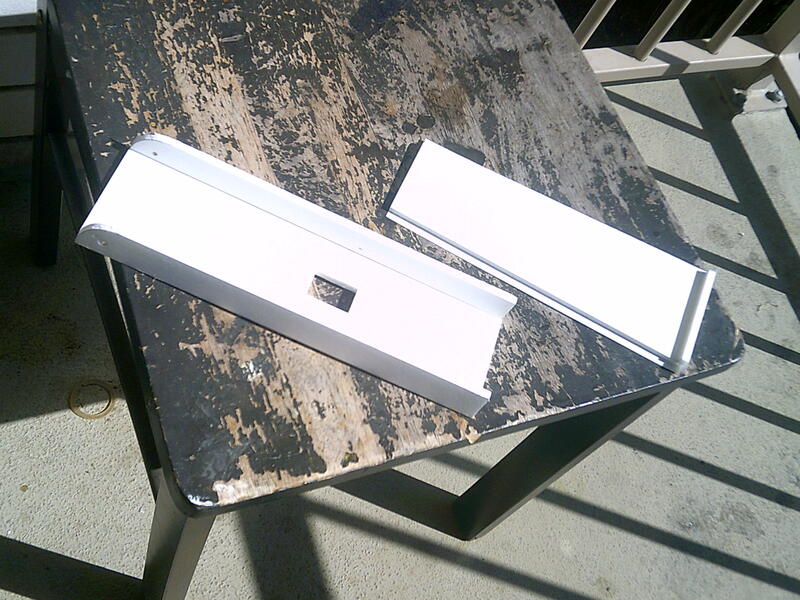 Here is a battery test fitted to check that the battery strap is adequate. (It is/was). That is it for the time being! The firewall can be fitted just prior to the powerpod being fitted into place during the fitting out! 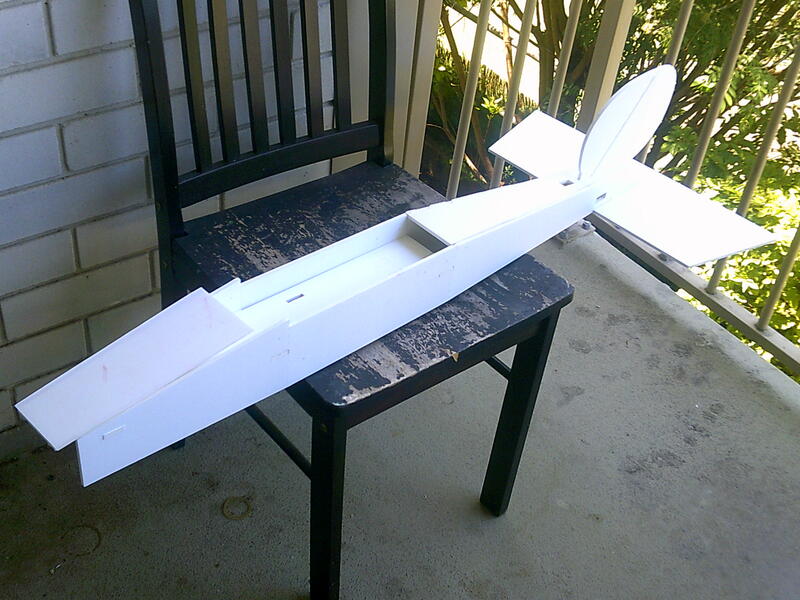 Next post on the build will be the fuselage! Wow looks awesome. I so want to build one but have to crash something before I do. I just dont have room for anymore planes. Between this and a simple scout I'm not sure what to build next. I've been wanting to try other (non-FT) foam board designs, but it's hard to give up the quality of their designs and plans. I know the aerodynamics are not really an issue but it does seem a pity that the 2200 3s cannot go inside the power pod. Up to a point I agree with you but then after the many many flights including running a GoPro, crash site location service for other users I actually love the idea of being able to change a battery in seconds and to be able to land, change a battery, and take off in less than a minute. Also the battery NEVER gets any more than warm and the same applies to the ESC. When fitted the battery is actually hard to see in flight in a similar manner that the battery of the TT is hard to see! I am intrigued by that landing gear design. Does it have any ability to absorb shocks on landing? What is the advantage of the longer axle wire? 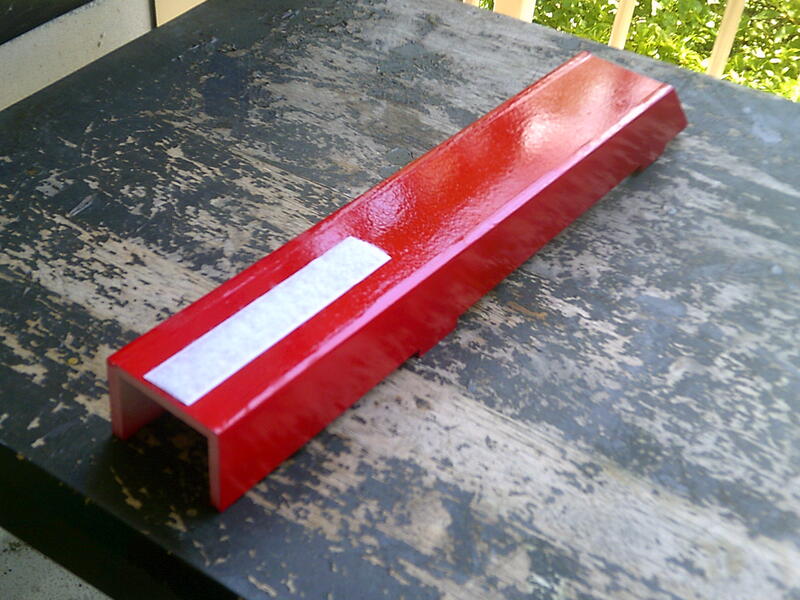 Wouldn't it be lighter to use simple bolts at the bottom of the aluminum piece as axles? Yes the landing gear can handle quite severe landing impacts! On the original or older plane the landing gear has been driven inwards by around 5mm and actually canted slightly rearwards. The Al is just a frame, (It is solid and resists those vertical drop from stall landings), and the wire supplied a great amount of resistance to rearwards movement and actually makes up the axles for the wheels! If not for the wire brace the wheels, and the Al bracket, would have been ripped off ages ago. It is so strong that the wheels have fractures in them from some very poor landings including flying into a crossbar on a set of football goal posts where the wheels hit and stopped the plane instantly and the plane did a forward spin and dived into the ground almost upside down. The landing gear has not been repaired or even adjusted in 2 1/2 years of what was at times extremely poor piloting. Yes I could make it lighter and perhaps equally as strong but then this build is as a replacement which will hopefully be a reliable bird for the next 100 Hrs/3 years of RC flying. Well, I really like it. I'm always trying to modify improve and experiment with landing gear and I like the design on that stik. I may copy that and see how I like it on a Storch OR I'll just go ahead and build a stik of my own. I was going to try and salvage the landing gear off of the old one but after seeing the damage to the wheels and the minor damage to the fuselage where the LG is fitted I decided to build a new one anyway. At least the new owner of the old carcass will get a functional landing gear anyway. Doing the first of the fuselage build at the moment so will post a little progress some time later! 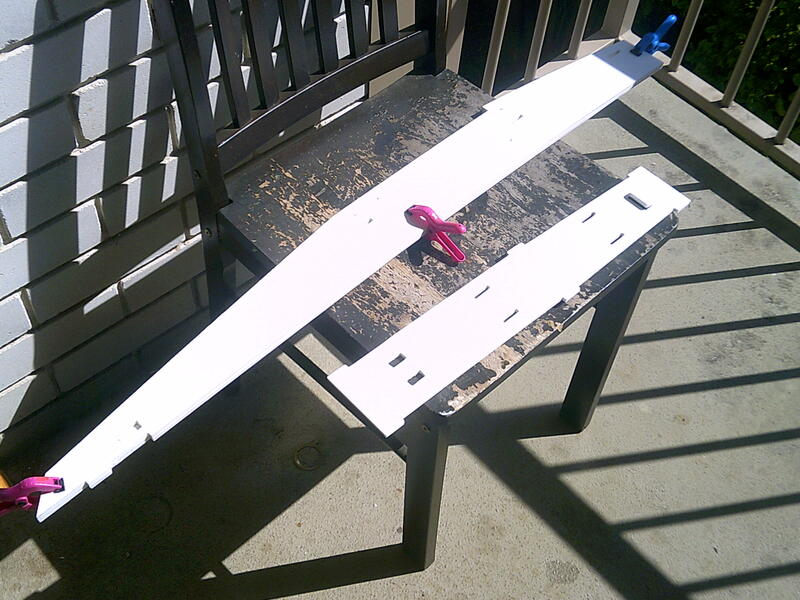 First is the dry test fit of the fuselage pieces to check for any serious issues. None found! Next check the fuselage sides for symmetry and modify the fuselage tray(?) to improve air flow to the ESC. Prepare the Nose deck piece and the access hatch prior to fitting. 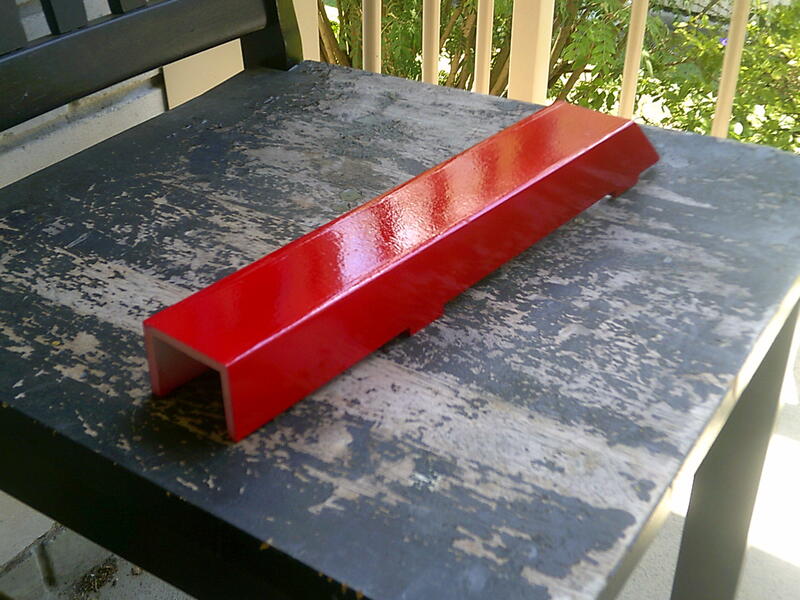 Minwax or otherwise seal both prior to their being fitted. Fuselage sides glued to the tray(?) and the whole assembly ready for minwax sealing inside and out! 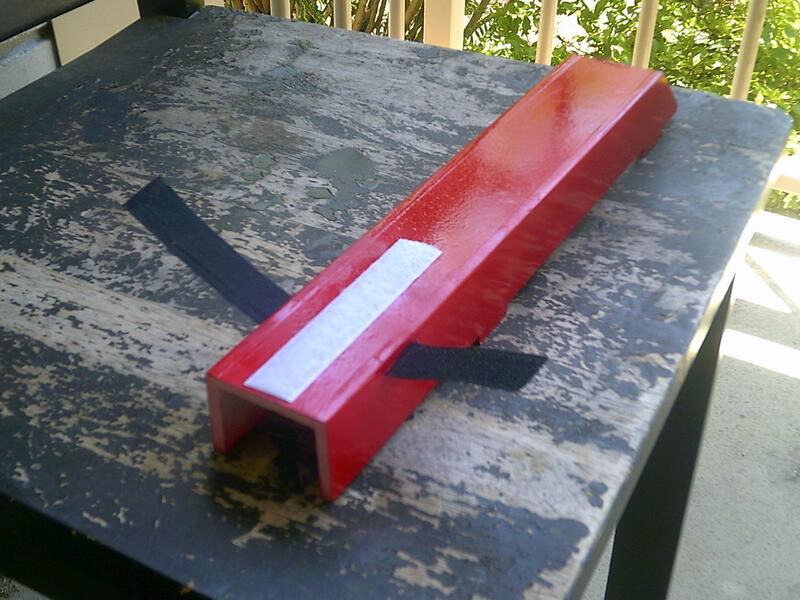 Nose, (previous sealed), glued in place and the access hatch, (for the Receiver etc), test fitted. Note hatch already sealed and painted! The tail top deck has already been sealed and prepared but the paper flaps where damaged slightly. I will use it regardless of the minor damage. So the next picture is of the tail feathers prior to adding the reinforcing skewers. The scalloping was done using a CD as a template and the exposed edges of the tail members were sealed. On the Horizontal tail I am making one change in that the elevator will hinge from the bottom so that the bevel will be uppermost. This is due to the tail proximity to the ground and the moisture, (Dew), that caused some separation of the paper on the older version! Now I need to find some LONG BBQ skewers or I will be forced to join them to build the horizontal tail member. build one. You will not regret it. I must agree but you should know that this is not a speed bird! It is reasonably large and a little heavy, (lots of FB). 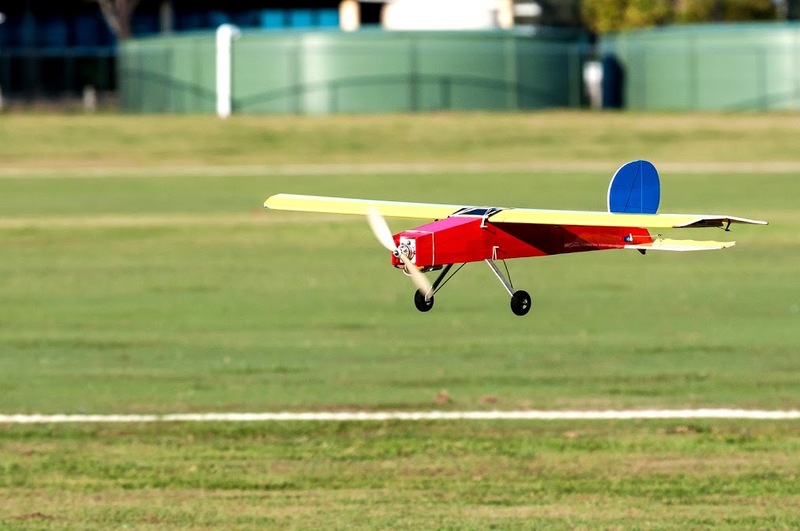 I built/am building mine to swing a large SF prop and even though it is big it can take off with a metre of ground run if you deploy flaps fully for take off! A calm day landing, (no headwind), can be done with as little as 2 metres of roll out using full flaps! It was also the plane that I learned the simple rule that I still use! "Flaps are for landing - NOT TAXIING!" At least one of my crashes was an accidental taxing episode where I was in a hurry to clear the runway for a plane making an emergency landing. I do not use any flight stabilization though this is the best candidate I have ever flown! With stabilization fitted and setup correctly even a beginner would have little trouble flying this one! All of my crashes were my own fault. The 2 most memorable are the day someone walked across the runway whilst I was taking off. I didn't see him until it was almost too late. I pulled up hard and put it into a hard banked turn. Naturally it side slipped all the way into the ground. The errant club member almost joined the model that day! The second was 100% my own fault. I taxied out, turned into the wind, and took off. The plane did a slow bank to the right and flew into a big gum tree about 4 metres off of the ground. 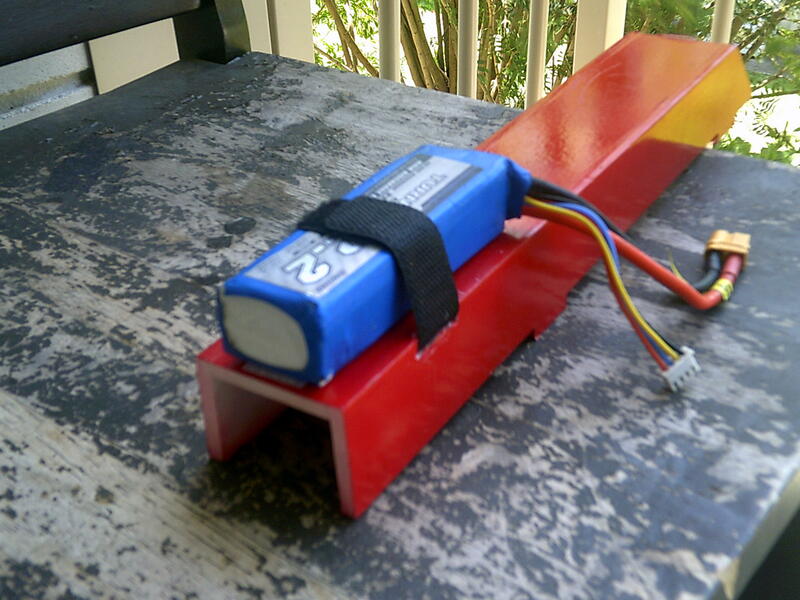 After recovery I discovered that I had plugged the aileron servos wrong way round. "NO Ailerons". One last thought! I had a look around my hangar and this bird, (well the one I am building a replacement for), is the oldest FB bird there and it is the ONLY FB design I have ever built a replacement for that wasn't crashed so bad that nothing would put it back together again! That itself says something! I think I may build one eventually. The thing is I currently have my modified Storch that kind of fulfills the role that this aircraft does: Large slow flyer with flaps and sturdy gear. My Storch isn't fast and swings a 12x8 SloFly. If I total the Storch I may replace it with a stik. I have not been game to add wheels just yet! My folding SF props are allowing me to cope with the hard landings! Well this one lands by just flying slow enough for it to lose height gradually, (slightly nose down with flaps deployed), and when the wheels are about to touch the ground, bring the nose up to level and cut the motor power.